Why is it important to nourish your skin? The skin is the largest organ in our body. Whatever happens inside our body, shows in our skin, whether it’s good or bad. How you look is a reflection of what you eat. Aside from topical applications and healing oils to protect and heal your skin, one of the most important things is to nourish your skin from within. Your skin is an indicator of what’s going on inside your body. When you eat healthily, your skin will also look healthy. Here are some food choices that can help nourish your skin. 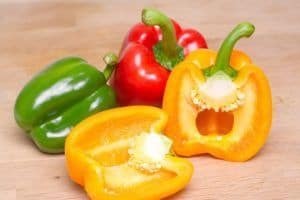 Eating red, yellow, and orange vegetables such as bell peppers and carrots can be very beneficial for your body and skin. These vegetables contain carotenoids that can help lessen the appearance of fine lines and wrinkles. It also helps the skin look smoother. Cucumber. This is considered one of the most potent foods that can nourish your skin, whether you eat it or use it topically. This vegetable has zero calories. Also, it helps flush out toxins in the body. These toxins are one of the culprits for making your skin look dull and lifeless. 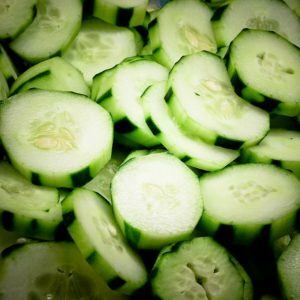 Cucumber is a vegetable that is packed with nutrients that help boost your overall health. It aids in digestion and also adds luster to the skin. Beetroot. Consuming this vegetable can give you a glowing complexion. It also contains a lot of minerals such as calcium, magnesium, potassium, and sodium. 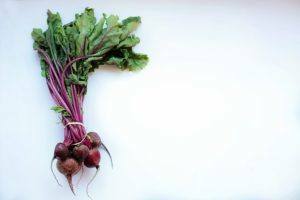 Beetroots has vitamin A and E, which is perfect for skin care. It helps improve skin health and acts as a cleanser which leaves your skin rejuvenated. Sweet Potato. This root crop is loaded with vitamins and minerals as well. It contains beta-carotene that is good for your skin. Garlic. This herb is not just for cooking. It is also packed with nutrients that can destroy bad bacteria and viruses in the body. It helps strengthen and improve the body’s immune system. Garlic also has antioxidants that can help slow down skin aging. Legumes. Just like beans and peas, legumes are high in dietary fiber that aids in digestion and detoxification. This helps you keep your skin looking clearer and younger. Red Grapes. This fruit is known for its anti-toxic and anti-histamine properties. They are best in treating skin inflammation. Also, they can help prevent allergic reactions because of its anti-histamine properties. Avocado. One of the fruits included in the super foods list is avocado. This fruit is loaded with antioxidants, vitamins C and E. You can say that this fruit is the fruit god of all foods for the skin. 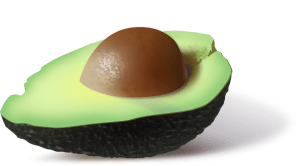 Avocados can help improve the texture of your skin and your skin tone too. It can also boost skin vitality and helps maintain moisture in your skin. Nuts and Seeds. Specifically Brazil nuts and pumpkin seeds contain selenium, a mineral that enhances white blood cell production. This can help boost your immune system. And did you know that one of the direct causes of acne breakouts on your skin are zinc and selenium deficiencies? Nuts are the best antidote for acne outbursts. Plus, these nuts are packed with calcium, magnesium, and potassium, all of which contribute to making your skin healthy. Brown Rice. Brown rice is rich in nutrients and packed with vitamins and proteins. This is a good replacement for white rice to maintain a steady blood sugar level. This can help in your skin nourishment. Salmon. It is rich in Omega-3 fatty acids that can help in strengthening cell membranes which allow a better flow of nutrients. This allows more nutrients to your skin, making it look healthy. 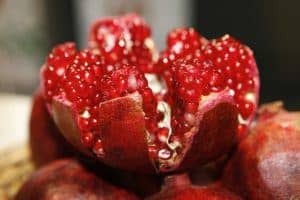 Pomegranates. This fruit is on the list of super fruits that are packed with antioxidants. These antioxidants known as polyphenols help regulate blood flow to the skin, giving you a vibrant color. To nourish your skin doesn’t only mean eating foods that nourish the skin. It also includes avoiding foods that can make your skin look dull and lifeless. Foods that are highly processed and loaded with sugar, salt, and preservatives can contribute to your skin nutrition. If you smoke, it is also best to quit now because we all know that harmful effects smoking can cause not just to our skin but to our overall health in general. 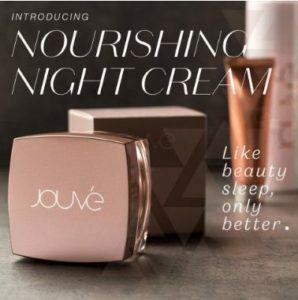 Jouve Nourishing Night Cream has been created to help you look and feel your best. This intensive night cream provides your skin with a night time skin care boost, helping your skin in the cell regeneration process and repair. It can help reduce lines and wrinkles. At night when the skin undergoes its restorative process, Jouve Nourishing Night Cream helps in this process, giving your skin a much-needed beauty refresh through high-quality ingredients that help diminish the visible signs of aging and fatigue. Nourishing Night Cream has special key ingredients that make it so effective in the regeneration process of the skin. It has Persian Silk Tree extract, also known as Prodizia, that assists in helping the skin look more rested and refreshed by reducing the visible signs of fatigue. Persian silk tree helps reverse the damage due to glycation. Glycation is a reaction between sugar and proteins like collagen. It produces a glycotoxin that deactivates collagen molecules which lead to wrinkling and loose skin. Prodizia helps reverse these damages caused by glycotoxins. 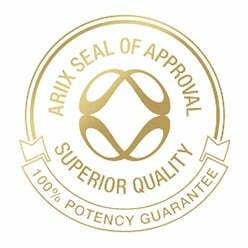 Ariix, the global leader in health and wellness has formulated the Jouve Nourishing Night Cream to help with the repair of your skin at night. You may feel tired, but you won’t look tired. You will get the much-needed beauty boost to your skin’s rejuvenation process at night. To know more about the product, click Jouve Nourishing Night Cream.